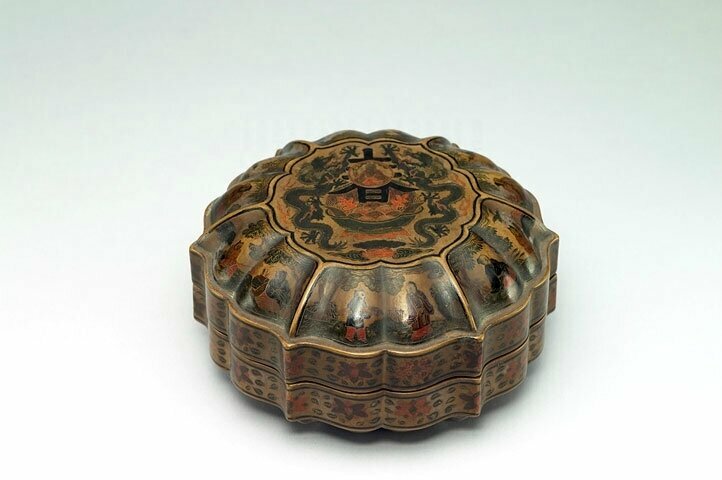 Four-lobed box with décor of dragons and characters, Qing dynasty, Qianlong reign (1736-1795). 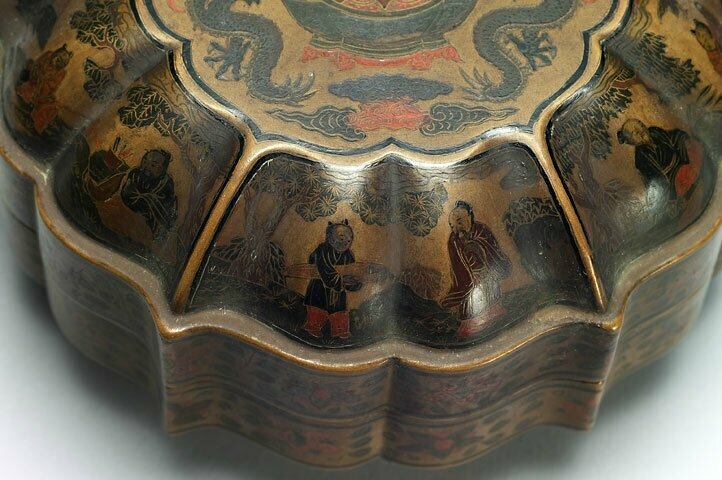 Filled-in lacquerware. 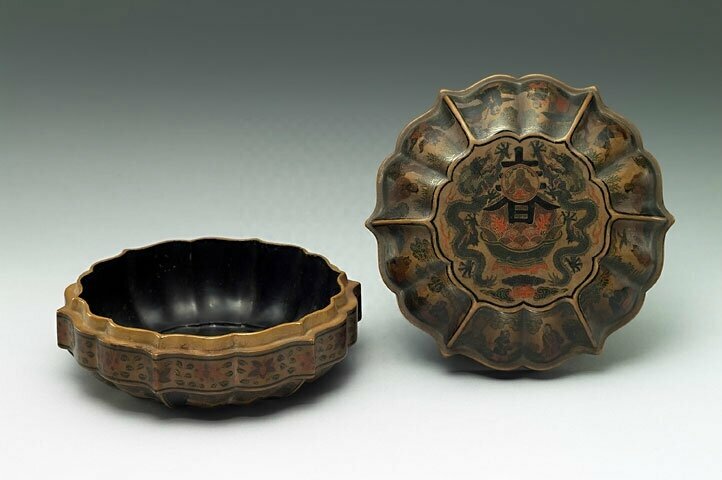 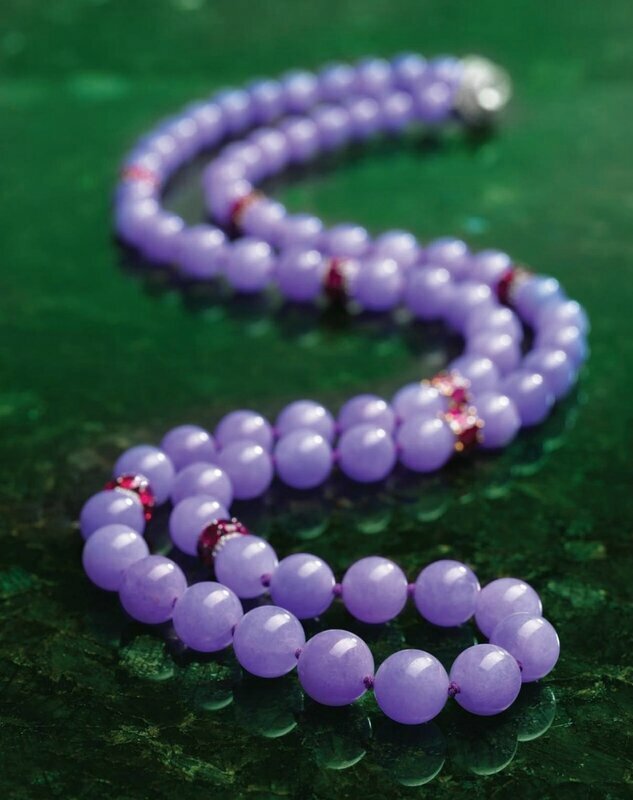 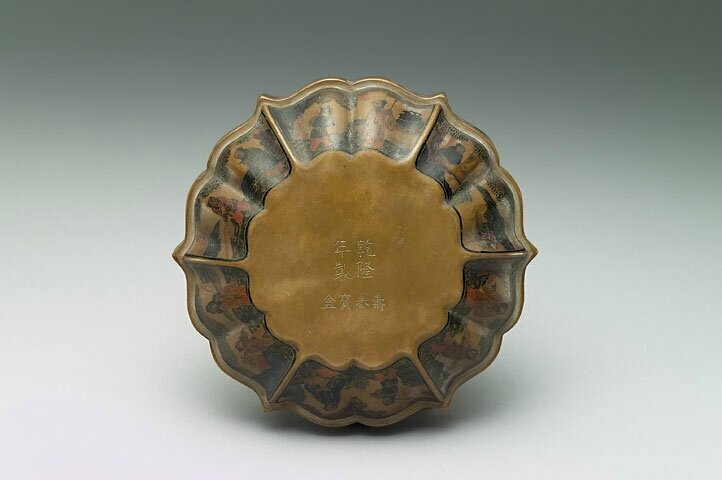 Diameter: 12.5cm Height: 7cm © National Palace Museum, Taipei.